For the German national team, it will be a World Cup record-setting fourth appearance in a row in the semi-finals of the big tournament. If you think about their achievement, the first thing you will notice is the fact that the Germans have not missed out on this stage of the World Cup since 1998 in France where they lost in the quarter-finals to Croatia. 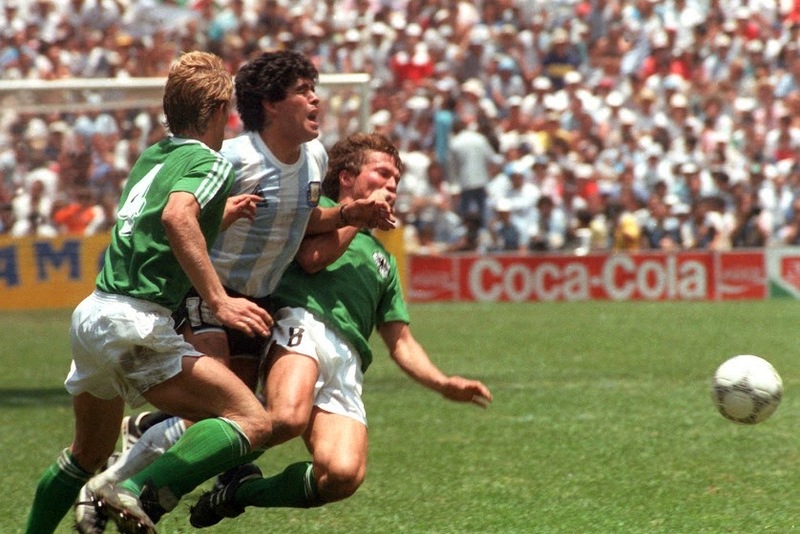 The other thing you may notice, is that this record-braking fourth consecutive time in the semi-finals did not mean a World Cup title on any of the three previous occasions. So will it this year? 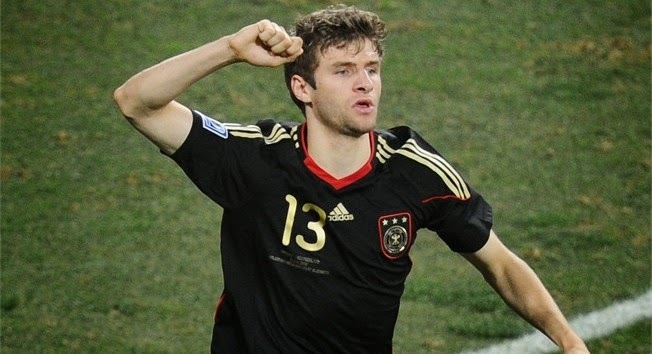 Here are five great reasons why you should back the Germans to win their first World Cup title since 1990. A European squad has never won a World Cup that was hosted on either North, Central or South American soil. That’s right. On the 7 occasions that tournament has been hosted between Uruguay, Brazil, Chile, Argentina, Mexico and the United States, a European country has never won the title. Everyone loves a story of “first time”, and although the Netherlands are also still in the running, who would deserve to break that record more than the 3 time World Champions Germany. Brazil is the only non-European nation to win the title in Europe (Sweden 1958), so it sure is about time a European squad did the same in South American. No, not like the 2001 flick with Nicole Kidman. “The others” refers to the other squads that are left in this tournament, and guess what, there’s not a single team left that is an absolute favorite to win the whole thing. Brazil will be missing their captain Thiago Silva due to yellow card accumulation and of course Neymar who is out for the rest of the tournament after his injury against the Colombians. Argentina did not impress the entire tournament and neither have the Belgians really. Los Ticos, while a huge surprise to get where they are, are not a title threat and the Dutch, while probably would be the biggest challenge for the Germans in the finals have quite a record of missing out on the glory. What better year for the Germans to lift their fourth title than this one? Germany has now accumulated talent that is still fairly young, only this year they have big tournament experience under their belt. 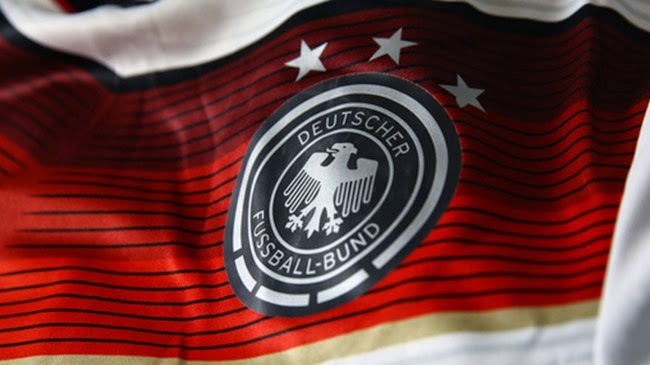 Manuel Neuer, Sami Khedira, Bastian Schweinsteiger, Mesut Özil, Lukas Podolski, Thomas Müller, Per Mertesacker, Toni Kroos and Jérôme Boateng were all a part of the German team that won third place four years ago in South Africa. This year, these players’ average age is 26.7 years. That means that they are very much in their prime, but with all that previous major tournament experience they know exactly what the expectations are and how to handle the pressure of a huge event. That, plus guys like Klose and Lahm, and the Germans have an outstanding balance of fresh legs and experience. What else can really be said about this, aside from the fact that the Germans by far have the best depth in the 2014 World Cup. Whatever their starting lineup may look like, the names of the players that are left by Joachim Low on the bench look just as impressive as those on the pitch. 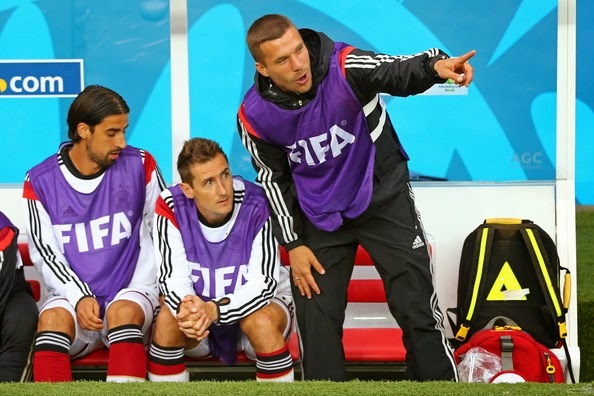 Just taking the match against the French as an example, Germany’s bench included Per Mertesacker, Mario Götze, André Schürrle, Julian Draxler and Lukas Podolski. He has won the third place in World Cups 2006 and 2010. He has lost in the World Cup finals in 2002. He has done the same in the Euros in 2012 (third place) and 2008 (runner-up). Miroslav Klose has been closer to a major title than most players will ever dream of, and yet this man who is 1 goal away from braking Brazil’s Ronaldo’s all-time World Cup goal scoring record, has never won a major trophy for his country in his incredible 135 caps (so far) with his national team. If you don’t want to see Miroslav Klose lift the World Cup title you are either Dutch, Argentine, Brazilian or just simply out of your mind, because there is probably not one player in the world that deserves to win the title in what is surely to be his last World Cup appearance at the age of 36. Sign up for the FootyFair newsletter. No junk, just great original football content! You would think that football players would keep their main source of income in pristine condition, but that is not the case. These beautiful women took their jerseys off and replaced them with body paint to show their pride in their countries. Fernanda Colombo is the hottest referee in the world, and she happens to work as a linesman in the Brasileirao. Nuno Espirito Santo: Can He Lead Valencia? Has Pepe Lost His Marbles? HOPDAYS: Murphy’s Irish Stout, the Roy Keane! Any Given Sunday: Can Jesus Save Us? Who’s Next on Suarez Menu? 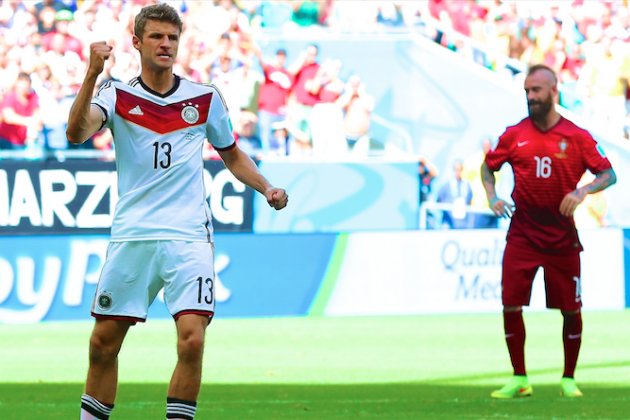 Can Toni Kroos Make The Difference? Can Neymar, Suarez & Messi Play Together? HOPDAYS - Baltika 7, the Andrey Arshavin!